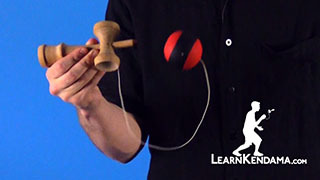 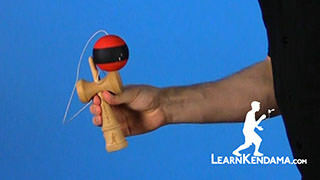 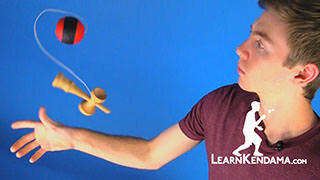 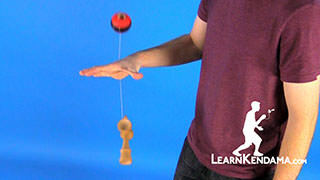 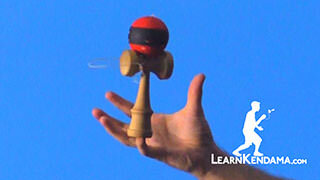 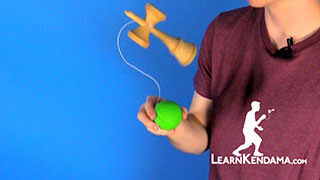 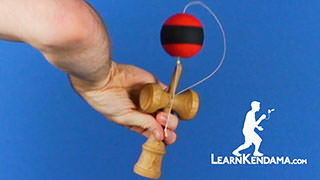 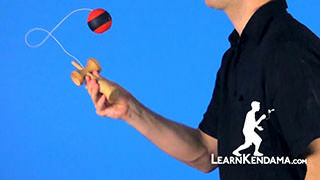 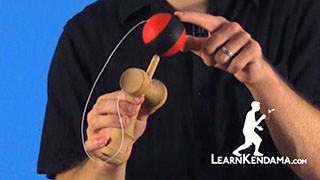 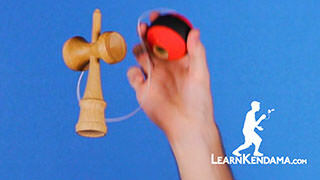 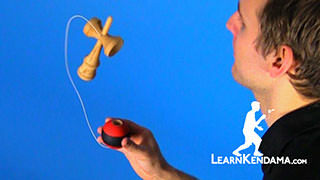 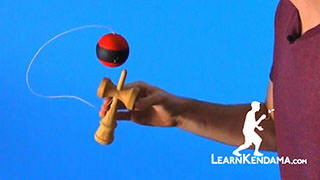 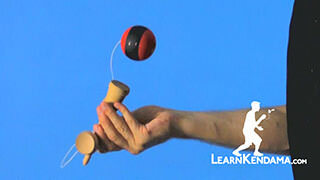 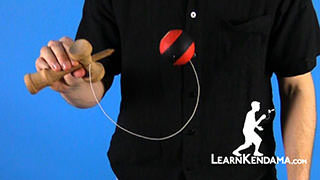 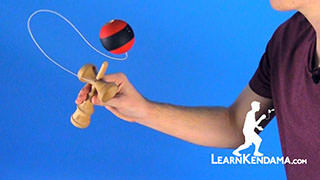 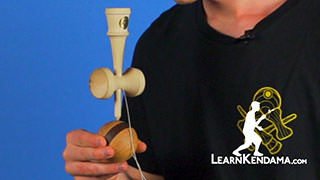 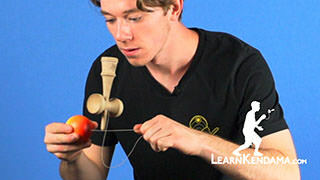 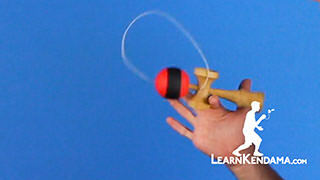 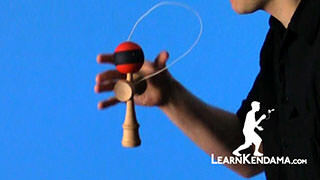 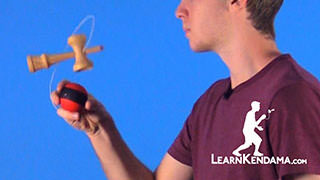 Add a comment to this video on YouTube.Learn the kendama trick known as Flip Flop. 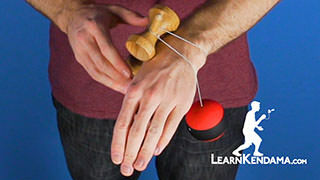 In order to do this trick, you are going to start off by holding in a modified ken grip. 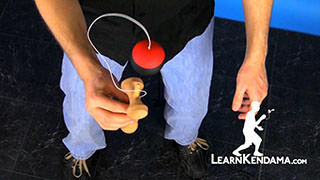 So you want to use your middle finger and place it in the center of the small cup. 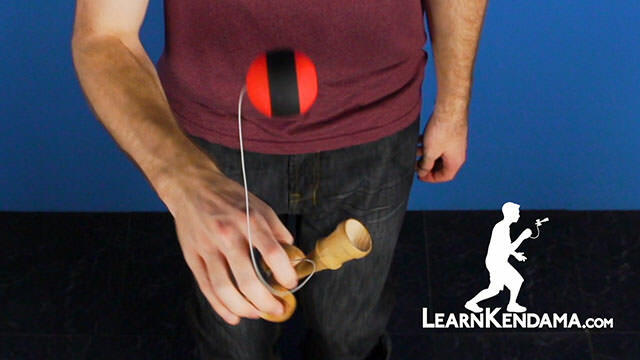 Use your thumb and place it in the center of the big cup. 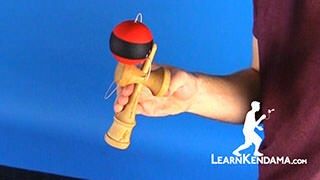 Now you want to have a light but firm grip. 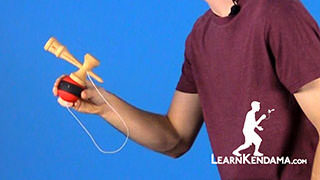 That way you are holding onto it tight enough so the ken does not fall out of your hand, but also light enough so that you can throw the base cup upwards like this. 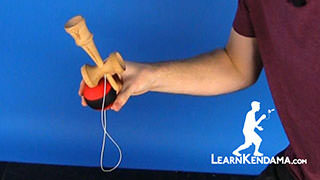 You can practice the grip just by flipping the kendama back and forth and using the ridge of your index finger to stop the base cup. Once you feel comfortable with that grip, you are ready to start the trick. 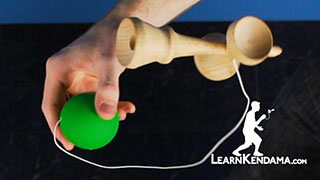 Another tip is also to make sure that the string is facing the outside. 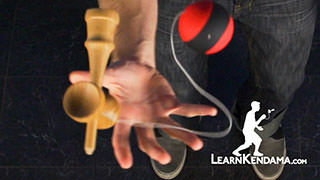 It should be doing that if you have your fingers in the proper cups. 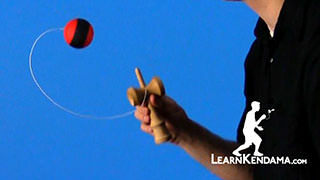 To start off, you are going to use the weight of the tama to assist in the first flip. 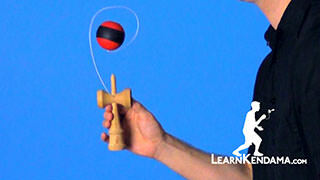 So you are going to flip the ken so the spike is pointing downwards and the base cup is up. 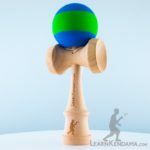 You are going to catch the tama on the base cup. 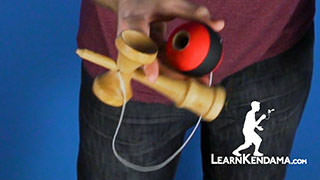 Then from here what you are going to do is really use your knees and pop the tama up. 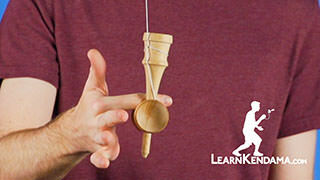 That way you have enough time to flip the ken into a Penguin Grip, like so. 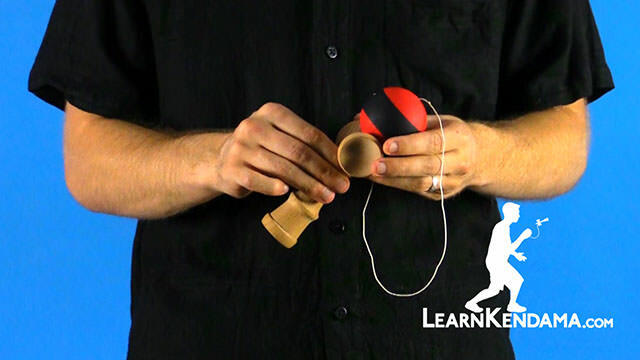 You will see I still have my fingers in the proper places on the cups and I am catching the tama in a penguin grip on the base cup. 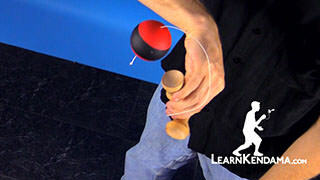 Then from here, you will simply pop up and flip back into that first position. 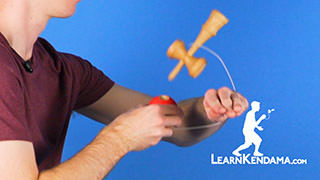 Now, another variation you can do with this, you can really do this flip flop in a lot of other tricks. 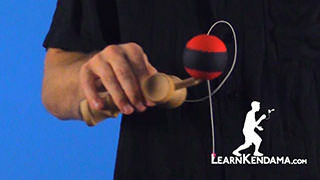 A good one to practice is starting with the tama on the spike, and actually doing Earth Turn in between flipping the ken back and forth. 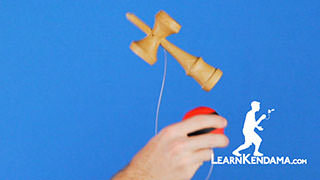 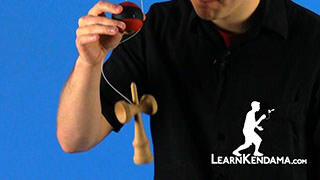 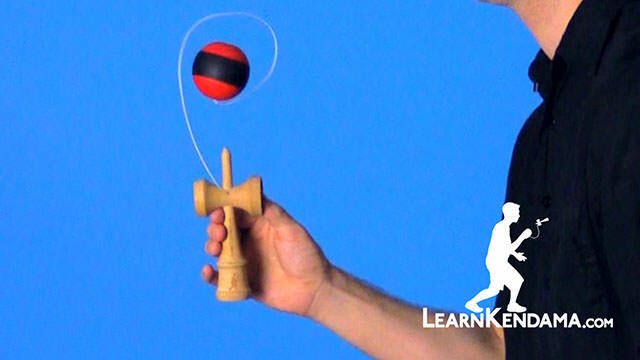 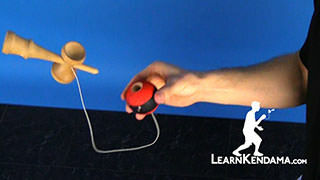 Now the trick to doing this part is when you flip the kendama, you want to make sure that the base cup goes straight up and use the ridge of your hand to stop it. 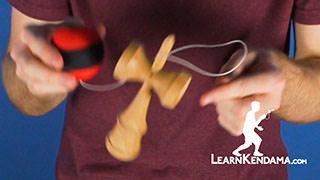 Then send it straight back down, you can use the bottom of your hand to stop the base cup so that way the spike is going straight up. 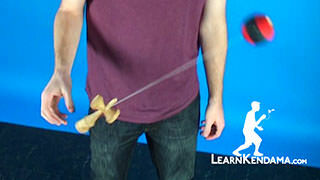 You really do want to emphasize getting a really slow earth turn. 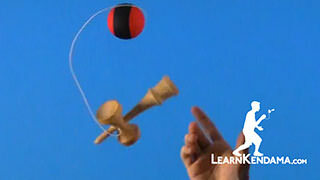 That way you have time in between the two in order to get the ken to rotate fully. 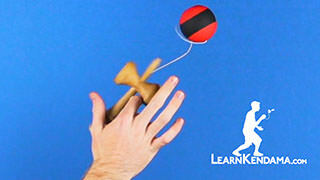 And that is Flip Flop.